Over the weekend, we visited the festival and were inspired by the show gardens. Our favorite was the “Asian Sensibilities, Northwest Style” by Elandan Gardens. This garden showcased a Laceleaf Maple, beautiful old pines, Hellebores, Iris plantings and ferns in a woodland setting. Another favorite was the “Mystic Garden” by Nature Perfect Landscape and Design which had multiple viewpoints to enjoy in the stylized Chinese garden. 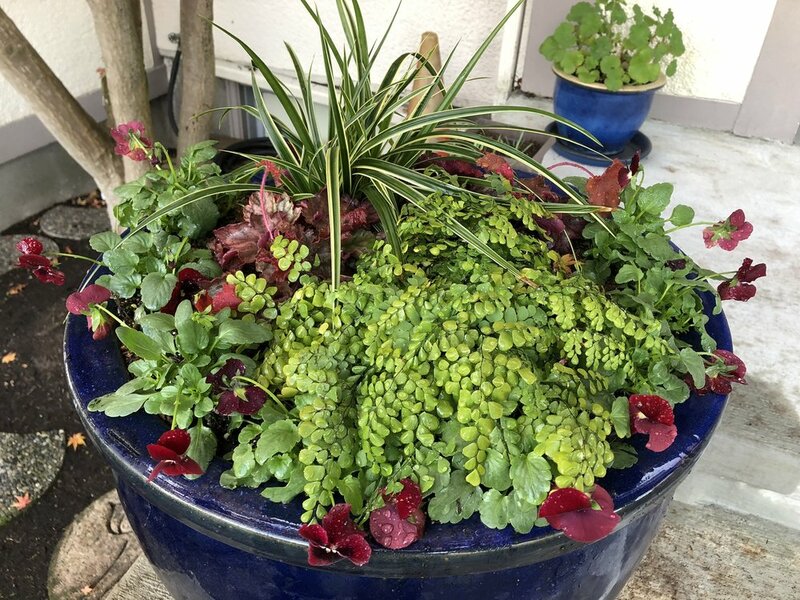 For this winter container, we used a combination of Carex, Maidenhair Fern, Heuchera and Violas. This is a great time to brighten up your winter containers with colourful hardy flowering annuals and evergreen plants. This is a great time to plant trees, giving roots a chance to develop and establish without the stress of developing new fruit or leaves. One of our favorites is the ‘Autumn Moon’ Maple which has burnt-orange leaves in spring and radiant coloured foliage in fall. With the cool fall days ahead, this is the ideal time for planting spring-blooming bulbs. 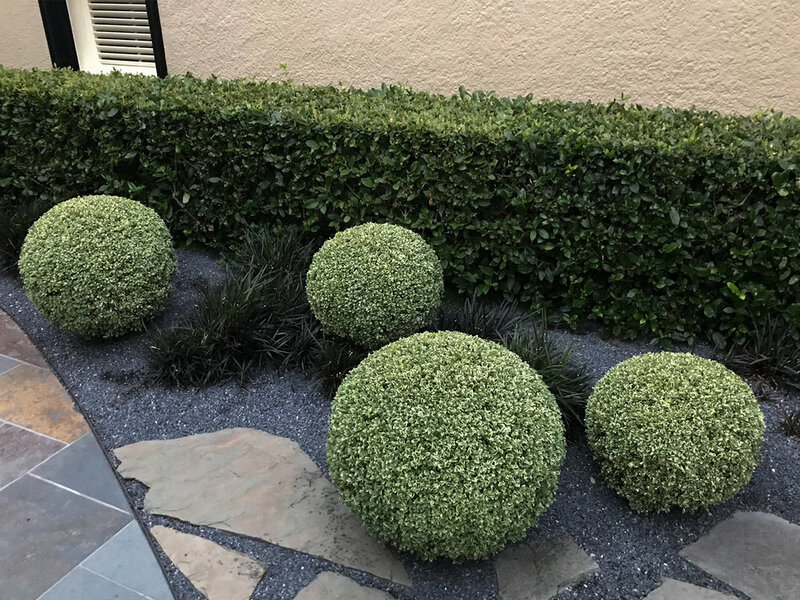 I hand clipped these boxwood balls and topiary spirals after the spring push of growth had slowed. They will keep their form and definition for many months. We used the hardy 'Green Temple Garden' Bamboo variety to provide privacy and vibrant evergreen foliage throughout the year for our client. 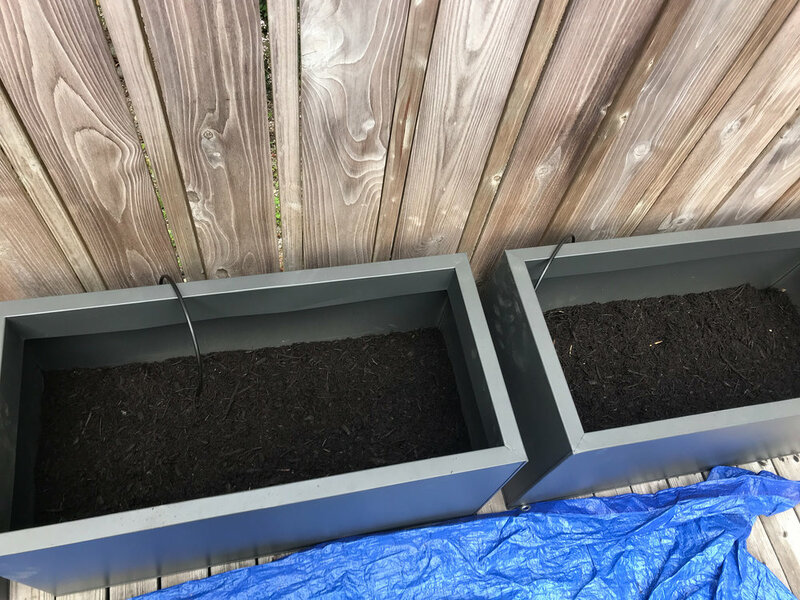 In three years, these resilient clumps of bamboo will completely fill the containers and reach 12-14 feet tall when adequately watered. Here's a preview of our process.